The Healdsburg-Rodgers Creek Fault is an active fault associated with the Santa Rosa Plain, in Sonoma County. It is a strike slip fault, measuring some 117km in length. 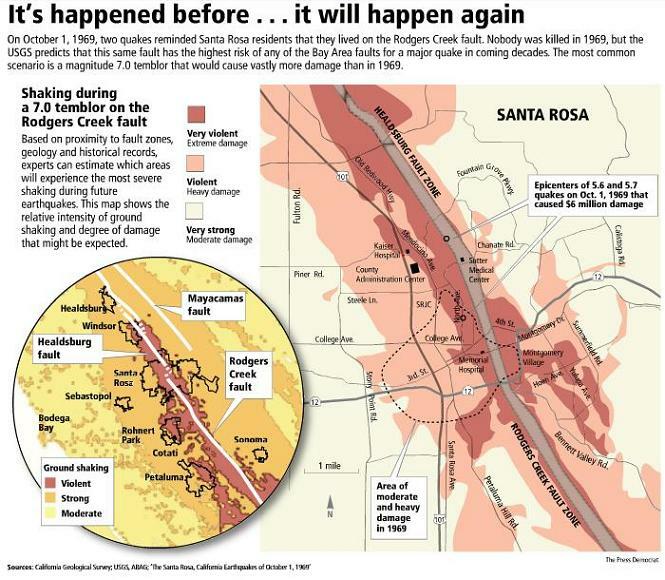 The most recent significant earthquake along the Healdsburg-Rodgers Creek Fault occurred when the “Santa Rosa Earthquakes,” a doublet of M 5.6 and 5.7, struck on October 2, 1969. Santa Rosa county estimates that similar events may occur every 20–30 years.